- 【Remote Control Phone Camera】Use this function for selfie or group photos with a better pose or photo sight. Open the camera function in the app, you can use this smart wristband to easily control your phone camera. 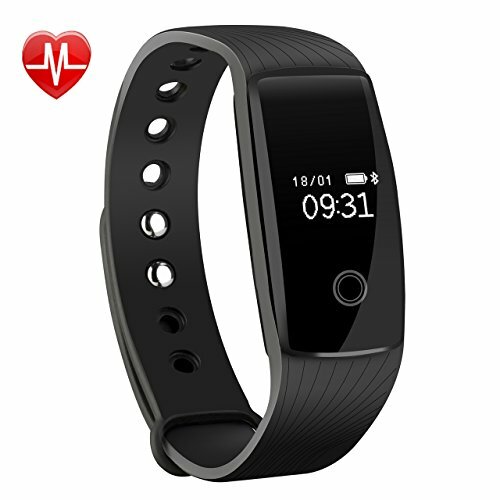 - 【Longer Battery Life and Wider Compatibility】 Built-in low-power-consumption Bluetooth chip and 70mAh rechargeable battery; full charge requires only about 1 hour and the standby time can be 5-7 days. App supports most smart phones with Bluetooth 4.0 or above(not for tablet). Support system: iOS 7.1 like iPhone 8/x/7/SE/5 or above(not for iPad), Android 4.4 like Samsung LG or above.